Not all foliage seasons are created equal. Some explode with color and others, especially in recent years, can be more subdued. VPR’s Steve Zind stepped out with Washington County forester, Russ Barrett to see how things are progressing. 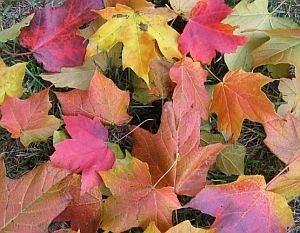 Barrent says this season is shaping up to be the most colorful foliage season in the last 5 or 6 years. Vermont’s tourism industry is looking to bounce back this foliage season, after Tropical Storm Irene. Though certain sections of the state are still devastated, Vermont’s Commissioner of Tourism says Vermont is open for business. The numbers aren’t all in yet, but state tourism officials say preliminary data indicates fall foliage visits were up this year.